See below for complete list of Norwich Terrier characteristics! You can see the drive of the Norwich Terrier in his day-to-day life: chasing squirrels and other rodents, bolting out doors and gates if unrestrained, and digging and barking for entertainment. These terrier habits can make him unsuited for the person or family who can't ensure these behaviors don't become a nuisance. On the plus side, he's loyal and alert, qualities that make him an excellent watchdog. Norwich Terriers must have a fenced yard because they will chase any animal they deem as "prey." Underground electronic fencing is not adequate for Norwich Terriers because they tend to ignore the shock. Norwich Terriers can live in apartments if they're given plenty of exercise (of course this can be said of most dogs). Before that time, however, the Norwich Terrier was a breed that rarely had a standard--a written description of the breed--that puppies were bred to. The breed originated in England, and several breeds may have contributed to its development, including the Irish Terrier. Standing 10 inches high at the shoulders and weighing roughly 12 pounds for both males and females, the Norwich Terrier is one of the smallest of the terrier breeds. He should look stocky but not overweight. The Norwich Terrier is known for his affectionate nature. He generally loves everyone and will do well in households with multiple pets and children. His sensitive intelligence and alert nature ensure that he'll bark an alarm if he spots anything or anyone suspicious near his home. Norwich Terriers have a mind of their own, but they generally enjoy life and enjoy pleasing both themselves and their owners. They are small, but that doesn't mean you should overindulge or coddle them. That simply leads to behavior problems. The Norwich is active and loves playing with balls and toys or just playing a good game with the people he loves. He thrives on the companionship of humans and will fit himself into your life completely. Like every dog, Norwich Terriers need early socialization--exposure to many different people, sights, sounds, and experiences. Socialization helps ensure that your Norwich Terrier puppy grows up to be a well-rounded dog. Enrolling him in a puppy kindergarten class is a great start. Norwich Terriers are generally healthy, but like all breeds, they're prone to certain health conditions. Not all Norwich Terriers will get any or all of these diseases, but it's important to be aware of them if you're considering this breed. Tracheal Collapse: Tracheal collapse is often seen in small breed such as the Norwich. It is caused by a weakening of the tracheal rings, which flatten until finally obstructing the airway. Signs of tracheal collapse include coughing that sounds like a goose honk, fainting, and an inability to exercise for long periods. It is treated medically with antibiotics, steroids, and cough suppressants. You may be advised to walk your dog with a harness rather than a collar to reduce pressure on his neck. If medical treatment doesn't work, surgery is recommended. Elongated Soft Palate: The soft palate is the extension of the roof of the mouth. When the soft palate is elongated, it can obstruct the airway and cause difficulty in breathing. The treatment for Elongated Soft Palate is surgical removal of the excess palate. Epilepsy: The Norwich Terrier can suffer from epilepsy, which is a disorder that causes seizures in the dog. Epilepsy can be treated by medication, but it cannot be cured. 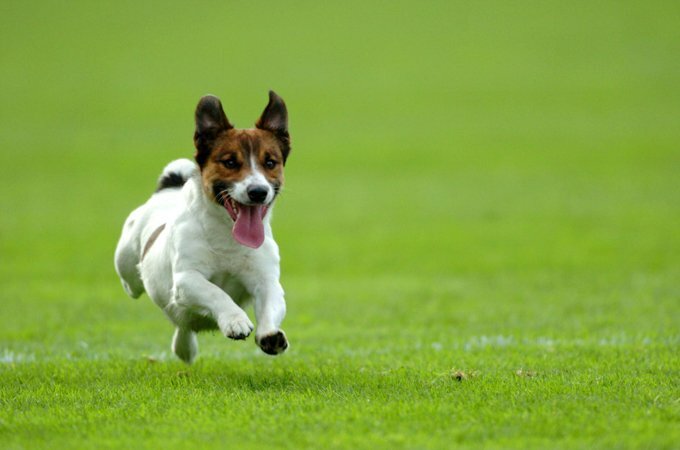 A dog can live a full and healthy life with the proper management of this hereditary disorder. In Norwich Terriers, you should expect to see health clearances from the Orthopedic Foundation for Animals (OFA) for hip dysplasia (with a score of fair or better), elbow dysplasia, hypothyroidism, and von Willebrand's disease; from Auburn University for thrombopathia; and from the Canine Eye Registry Foundation (CERF) certifying that eyes are normal. You can confirm health clearances by checking the OFA web site (offa.org). The Norwich Terrier is an intelligent working dog. He's happiest when he has a job to do. Training can be fairly easy with this breed as long you provide clear and consistent rules and training. Making a training session interesting rather than repetitive is another way to keep the Norwich Terrier engaged and interested in learning. Housetraining can be a challenge and may take a significant amount of time and patience. Use a crate to prevent accidents in the home. Crate training benefits every dog and is a kind way to ensure that your Norwich doesn't have accidents in the house or get into things he shouldn't. A crate is also a place where he can retreat for a nap. Never stick your Norwich in a crate all day long, however. Norwich Terriers are people dogs, and they aren't meant to spend their lives locked up in a crate or kennel. Norwich Terriers require daily exercise and like many terrier breeds they have an ample supply of energy. They make wonderful walking companions, and their exercise requirements can be met with a couple of vigorous 10- or 15-minute walks per day or playtime in a fenced area. It's important that a Norwich Terrier remain on lead when he's not in a fenced area or his strong desire to chase can cause him to run right in front of a car. Although the Norwich Terrier is known to bark, he can live in an apartment if his stimulation and exercise needs are met. It's been said that the Norwich will eat anything that doesn't eat him first. Not surprisingly, he's prone to obesity. If you're unsure whether he's overweight, give him the eye test and the hands-on test. For more on feeding your Norwich, see our guidelines for buying the right food, feeding your puppy, and feeding your adult dog. 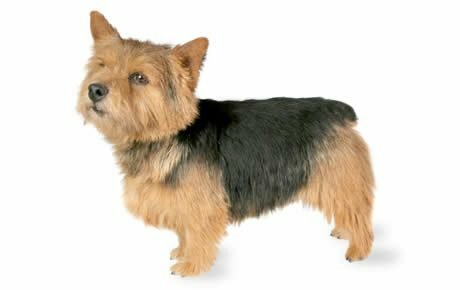 The Norwich Terrier wears a hard, wiry, straight topcoat over a soft, downy, insulating undercoat. The hair on his neck and shoulders forms a protective mane. Small dark eyes twinkle beneath slight eyebrows. The hair on the rest of his head, including the ears and muzzle, is short. The Norwich coat can be any shade of red, grizzle (a mixture of black or red hairs with white hairs), wheaten (pale yellow or fawn), or black and tan. Like all breeds, Norwich Terriers shed, though not as much as some. Brush them weekly to remove dead hair. Regular brushing will keep your Norwich clean. He won't need frequent baths unless he rolls in something stinky. Stripping the coat twice a year--pulling out the dead topcoat by hand or with the aid of a stripping tool--maintains the coat's characteristic hard texture. Without stripping, your Norwich will look a little scruffy, and he'll shed more than he would otherwise. If you clip your Norwich's coat instead of stripping it, the color and texture changes, becoming lighter and softer and more prone to shedding. Other grooming needs include dental hygiene and nail care. Brush your Norwich's teeth at least two or three times a week to remove tartar buildup and the bacteria that lurk inside it. Daily brushing is even better if you want to prevent gum disease and bad breath. Small breeds such as the Norwich are especially prone to severe gingivitis. Trim nails regularly if your dog doesn't wear them down naturally. If you can hear them clicking on the floor, they're too long. Short, neatly trimmed nails keep your legs from getting scratched when your Norwich enthusiastically jumps up to greet you. Begin getting your Norwich accustomed to being brushed and examined when he's a puppy. Handle his paws frequently--dogs are touchy about their feet--and look inside his mouth and ears. Make grooming a positive experience filled with praise and rewards, and you'll lay the groundwork for easy veterinary exams and other handling when he's an adult. Norwich Terriers are sometimes bought without any clear understanding of what goes into owning one. These dogs may end up in need of adoption and fostering. Below are breed clubs, organizations, and associations where you can find additional information about the Norwich Terrier.